Over the past couple of months, MetroCount has been assisting our local municipality, the City Of Cockburn, to monitor cycling trips along the beach. After meeting with Jillian Woolmer, Travel Smart Officer, a pilot project to record bikes at two sites was established. Data plays an important part in planning for upgrades to the network and in developing cycling strategy in the region. It’s also useful in validating works that have been carried out, along with routine monitoring to determine trends in cyclist numbers. 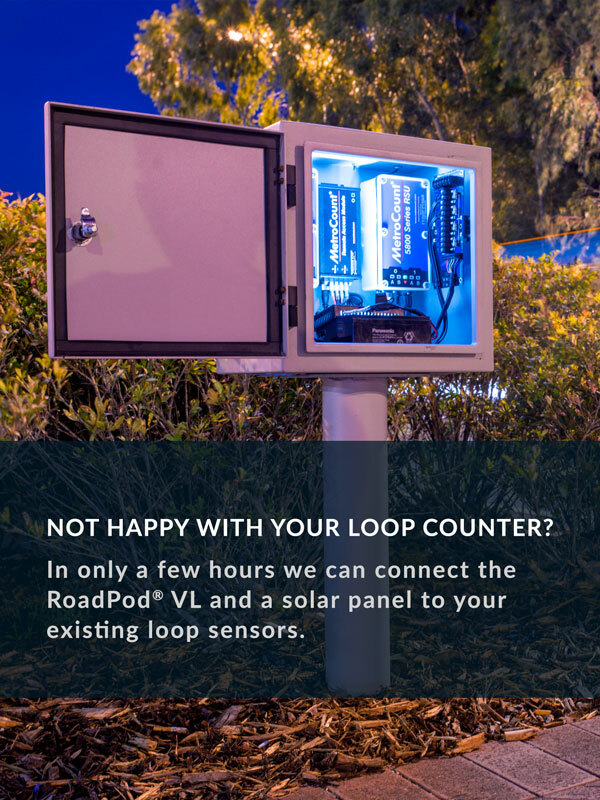 The RidePod BT bike counter was used to collect data over one month. The goal of this study was to analyse the variation in cycling patterns. During the first two weeks, statistics on cyclist volume, speed and direction of travel were captured in normal conditions. Afterwards, the counter recorded path activity during the Coogee Beach Festival (Sunday, 3rd of April) and the school holiday period. The map below highlights the proximity of sites to the MetroCount office. The shared path along the beach is opened to both recreational and commuter cyclists, as well as pedestrians and dogs. Comparing volumes at both sites highlights the morning and afternoon peaks in traffic. Spikes in bike traffic were present on Easter Sunday and the Coogee Beach Festival on Sunday the 3rd of April. Directional filtering shows that traffic flows in both directions throughout the day. This short set of seasonal information shows the relationship between cycling and the weather with data provided by the BOM from a nearby weather station. The variability associated with rain highlights the need for longer term data collection to get a clearer picture of average cycling statistics. Monitoring speeds helps to highlight any potential interaction issues that may arise. 85th percentile cycle speeds highlight how reasonable cyclists are riding on the path. When combined with volume data, cyclist speeds highlight risk factors. The virtual week volumes split by direction, show the hourly volumes averaged over the entire dataset. This directional filtering provides insight into commuter trends.